Florence likely will cause a daily loss of $200 million in North Carolina alone until businesses returns to normal. Florence likely will cause a daily loss of $200 million in North Carolina alone until businesses recover. 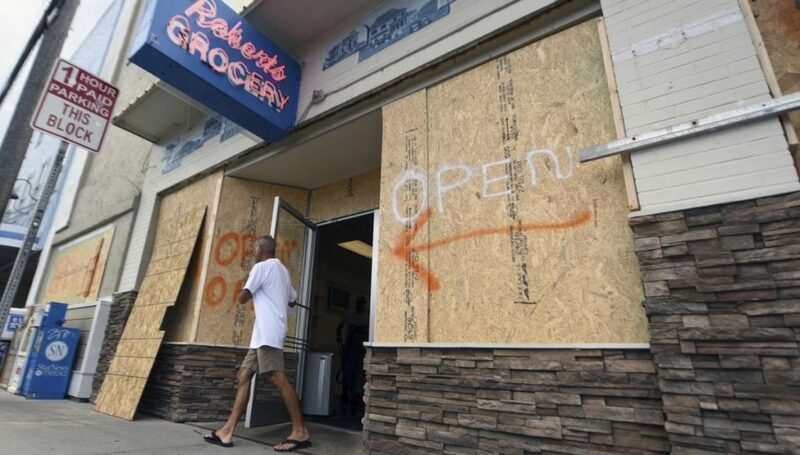 Sweet said Hurricane Florence could cause the U.S. economy’s growth to slow a few tenths of a percentage point, on an annual basis, in the July-September quarter. Michael Walden, an economist at North Carolina State University, calculates that Florence will deduct about $200 million of output a day from North Carolina’s $550 billion-a-year economy until business returns to something close to normal. Hurricane Florence is slamming a region that is economically diverse as well as sizable. Combined, North and South Carolina boast an economy bigger than Saudi Arabia’s. High-tech auto plants coexist with beachfront bed-and-breakfast inns and peanut farms. North Carolina’s Duplin and Sampson counties, just inland, sell more hogs and pigs than anywhere else in America. The Port of Virginia in Hampton Roads was closed Wednesday but planned to reopen Thursday on news that Florence had veered south. The port in Charleston, South Carolina, though, was suspending operations from Thursday through Saturday and possibly Sunday.